Argentina Football Accessories for Orders Now! Thank you for visiting the Argentina Football Accessories and Merchandise shop at Soccer Box. Here you will find a selection of Argentina products that are perfect for cheering the team on at every match. The Argentine Football Association has, officially licensed all the products in stock at Soccer Box, for sale. Novelty merchandise is a fantastic addition to the official kits, and can be used on match day to show where you team loyalty lies. 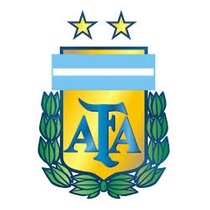 The Argentina football accessories and merchandise have been designed using the teams famous blue and white color scheme. The crest also appears on many of the products. Shop for All the Latest Argentina Merchandise While Stock Lasts! You may also like the Lionel Messi range that is also available at Soccer Box. Messi is a much-celebrated Argentinean footballer. He plays his league soccer at Barcelona in Spain. As such a great player Adidas sponsor him directly, and have produced a great range of Messi clothing and accessories that are also available for you to purchase. Messi has been compared to his Argentinean counterpart Diego Maradona, who is undoubtedly one of the best ever football players in the whole world. Messi has recently been given the captain’s armband and speculation is rife over how well he will perform wearing his Argentina football shirt in major tournaments such as the FIFA World Cup. You can get Argentina and Messi football accessories and merchandise at Soccer Box now. As well as Argentina football accessories and merchandise you can shop for the Adidas home and away kits at Soccer Box. Kit yourself and support this top ranked team during every game. In addition to the latest Argentina football merchandise you will find a fantastic range of kits and accessories for many other teams at Soccer Box. Browse our store and make us your 1st stop for every football related purchase!